A bond is a financial instrument. The most common types are municipal bonds and corporate bonds. This is a debt security. In bond market, issuer owes the holders a debt and is obliged to pay them interest, termed as coupon. The borrower or debtor will repay the principal on the maturity date. Interest is usually payable at fixed intervals. Thus a bond is simply a loan where the holder of the bond is the lender or creditor. The issuer of the bond is the borrower or debtor. The coupon is the interest. Bonds provide the borrower with desired funds to finance the businesses. And government bonds are those that are issued to raise funds for financing current expenditure. Unfortunately bond market lacks much attention among investors, compared to stock market. This may due to the fact that most investors are lured by the speculative tendency to expect their money skyrocket quick in value. But the bond market doesn’t make such offer to earn multibagger returns. Instead bonds provide much secured return in high interest rate regime. Bonds and stocks are both securities. The major difference between them is that stockholders have an equity stake whereas bondholders have a creditor stake in the company. Being a creditor, bondholders have priority over stockholders. Another difference is that bonds usually have a defined term, or maturity, after which the bond is redeemed, whereas stocks typically remain outstanding indefinitely. Par Value or Face Value: It’s the amount that the bond issued for and that amount you get back when the bond matures. Coupon or Interest Rate: This is the money you get back every year as % of par value. Term: It is the tenure of the bond till its maturity. Let’s assume you’re lending out $1000 to own the bond. And the term of the loan is 30 years for a 5% coupon value. Here you’ll receive $50 each year until it matures 30 years later. So at the end of 30 years you’ll get the par value of $1000 back. 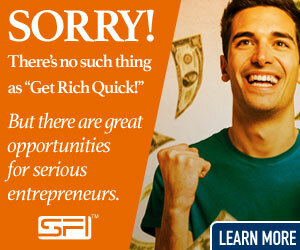 You’ll receive $2,500 in total (30 x $50+ $1000) with $1500 profit in nominal dollars. When the interest rate is high, the price of money is also high. Being a lender or bond holder, you’ll get more money from the bond seller or borrower, if interest rates are high. Bonds issued by companies are often providing with higher interest rates than the government ones. Company issued high interest bonds may be a little risky whereas government bonds are much safer bet and the best bonds to invest in. So you may like to invest in one year bonds on trial basis rather than stocks when interest rates are high. But high inflation rate will impact your investment badly. With 5% inflation, your coupon growth will be completely offset. Bonds are preferred in situation where inflation is low and interest rates are high. But stocks are the preferred choice in all situations. It has estimated that the global bond market became tripled in size in the past 15 years and exceeds $100 trillion now. Even American bond market consists of nearly $40 trillion in value, compared to less than $20 trillion of domestic stock market. You can now realize the how important the bond is in the financial market.